If you are just starting out learning to place bets, then here are a few do’s and don’ts to help you avoid mistakes. Before placing a bet, always remember that you need to find the best type of bet for a good return on your money. • Get yourself a copy of a horse racing program. It will be your guide to the horses which are racing, and give you the valuable information you need to make educated guesses as to which ones will dominate the race. • Do take the time to study the program. • Do learn the horse handicapping basics if you’re going to be a regular at the tracks. 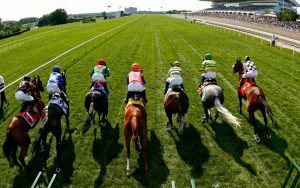 • Do set aside money for your wagers even before you go to the race track. Don’t commit an unforgivable sin against your family by using funds marked for food or bills etc. • Do have a betting strategy, and make sure you stick to it regardless of what you hear. • Don’t bet all your money on one horse. You could get lucky, but if you lose it all at once, you won’t be able to recoup. Greed will get you nowhere when you gamble. • Don’t chase your losses. It only makes you lose more. If you lose, just let it go and start afresh, betting the same amount. If you’ve had a particularly bad losing streak, call it a day. • Do not bet on every race. Bet only when the chances of winning are better than the chances of losing. • Do not bet when you are under the influence of liquor. It clouds your judgment and lets you make stupid and costly wagers. • Do not forget to enjoy cheering for your horse. The excitement is unparalleled, especially if you’ve won!